In my earlier post I forgot to mention Loba. Loba, which means a female wolf (or she-wolf), is a dog who lives at the Jungle Rive Lodge. Her life was truly the life every dog wants. When we spotted her from our raft she was perched on a rock, ready and waiting. 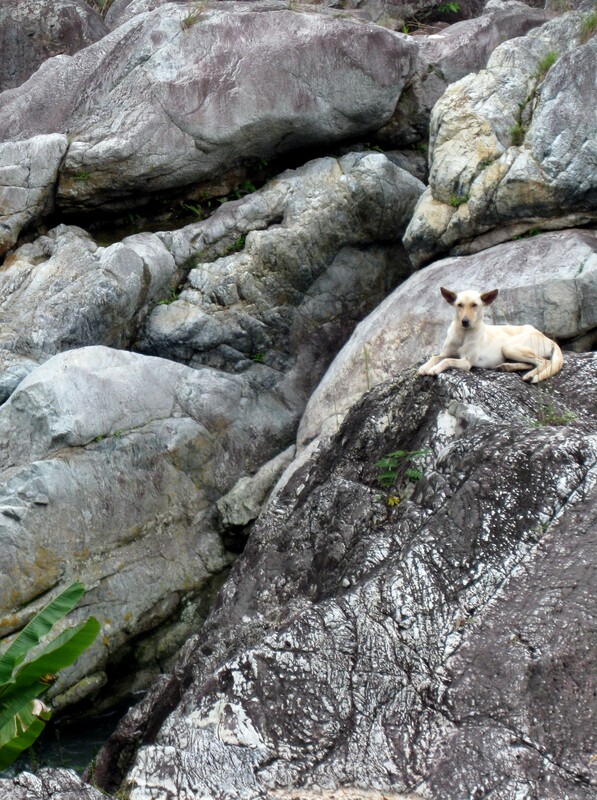 From there, she raced along the river, leaping over rocks and jungle brush to keep up with us. When we hit rapids and shrieked she would pause her run and howl along. At one particular spot, she dove into the water and another group ushered her into their boat. She braved some of the smaller rapids, sitting next to her owner, before heading back to shore. At the end, she greeted us on the riverbank, smiling. She spent the rest of the day sunning herself on the rocks, no doubt resting up for tomorrow’s repeat adventure. One of the guides owns her and she does this every day. It’s a dog’s life indeed.